Advertising rates are listed at the bottom of this web page. Contact the editor if you have any questions. 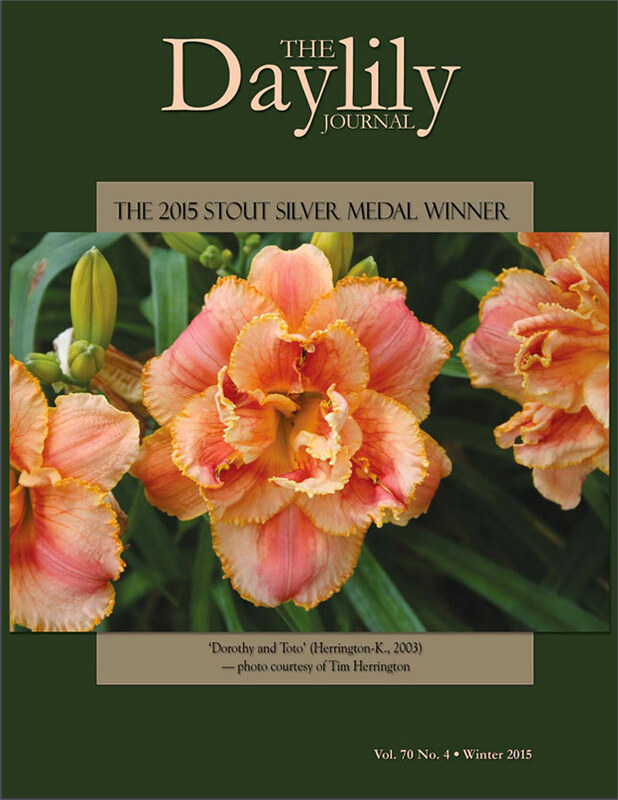 The Daylily Journal is the quarterly publication of the American Hemerocallis Society (AHS). 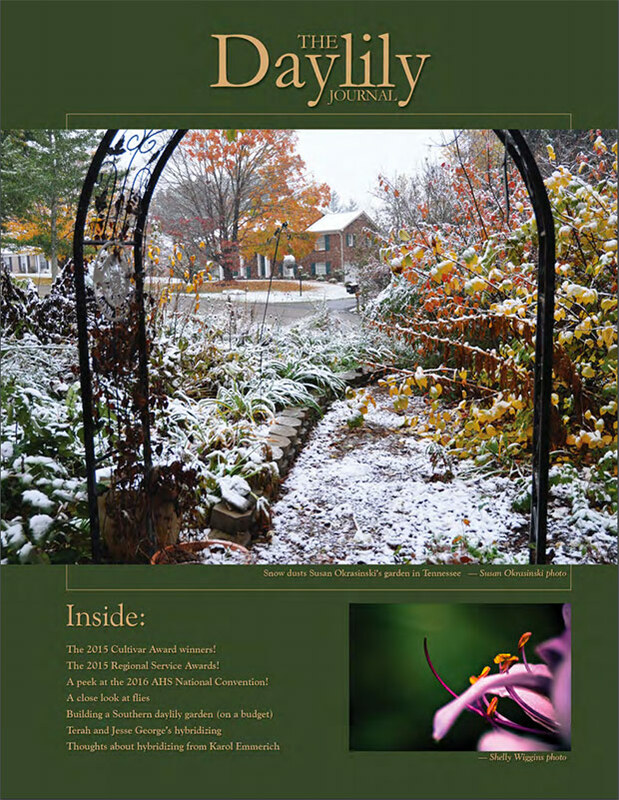 A subscription to The Daylily Journal is included with each AHS membership. 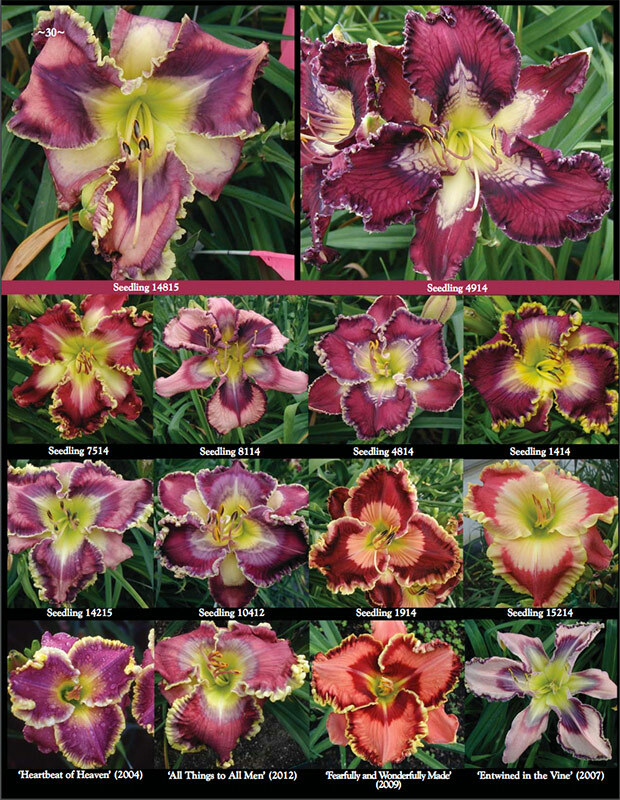 The Daylily Journal is a crafted with information and photographs for every level of daylily enthusiast, from beginners to hybridizers! 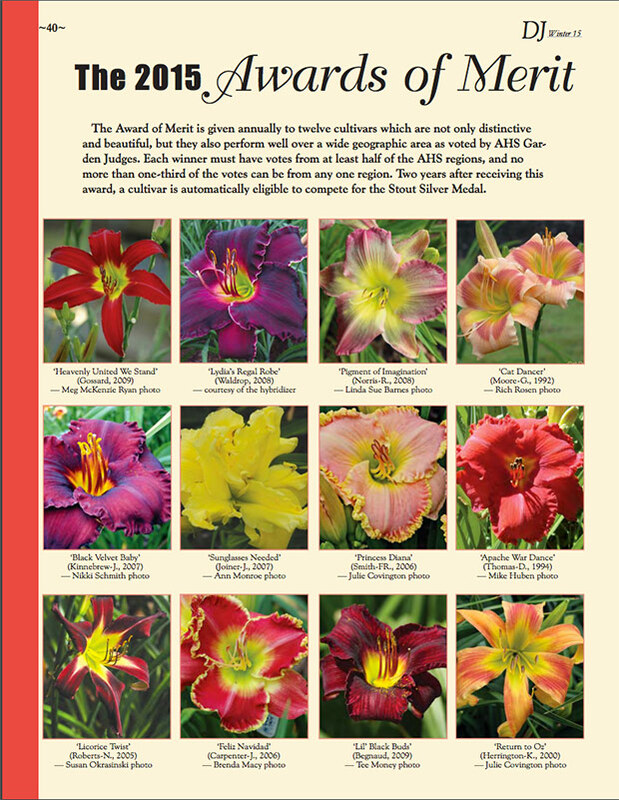 Get to know the flowers and the people of the American Hemerocallis Society by becoming a member today! 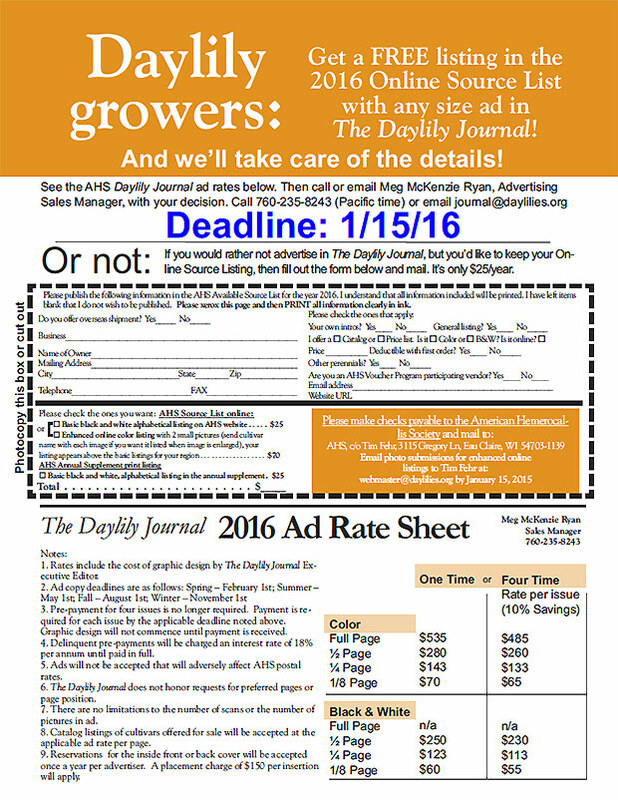 A subscription to the Journal is included with your membership! 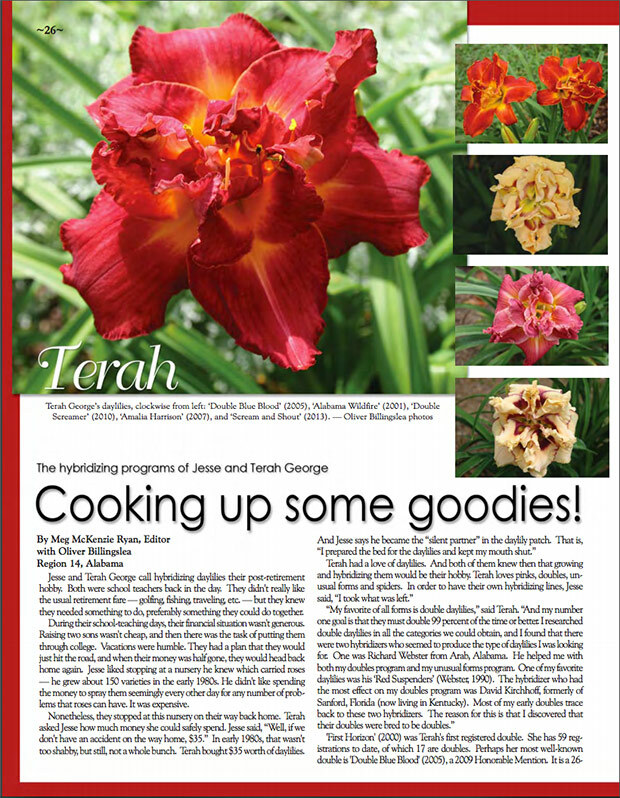 Take a look at a few of the features in a recent issue below. 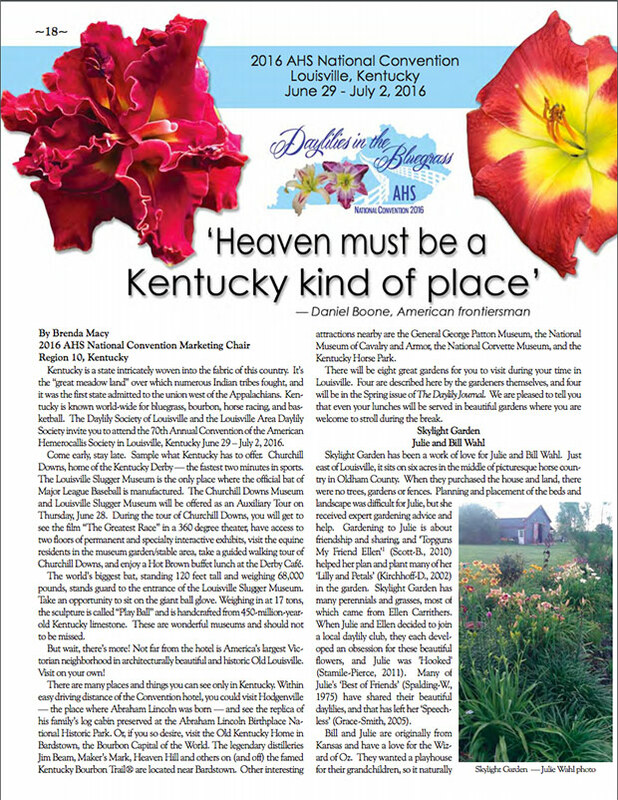 The opinions expressed by contributors to The Daylily Journal are solely those of the individual writers and do not necessarily reflect those of the editor, the members of the board of directors, or the American Hemerocallis Society, Inc. (AHS). The AHS publishes paid advertisements as a service to its members, but cannot be responsible for the quality of plants, services, or supplies received, nor for expressed or implied guarantees.